November | 2017 | It's "All in WDW"
Forget the Sushi! Let’s Dine on Pizza and Beer! You’ll have to forgive me, folks. I need to pass along one more little Splitsville “blast”. This time, let’s dine on pizza and beer! 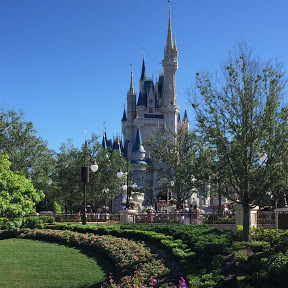 Actually, I might have been able to entitle this post as another in, what is becoming, a long list of Disney “before and after” reports. How so? 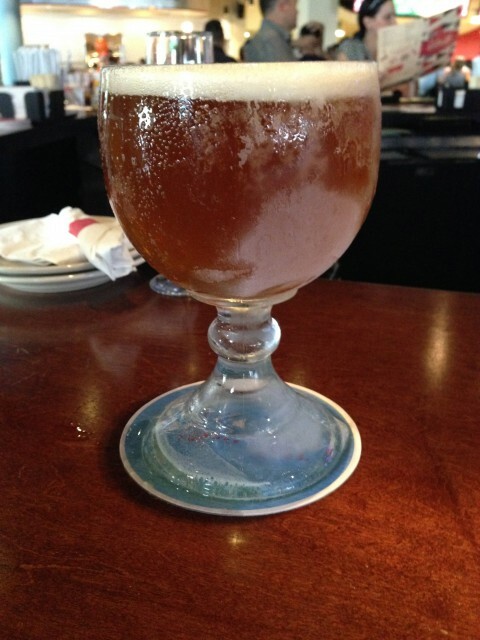 Well, check this out … Splitsville used to serve their beer in an ice cold, frozen chalice. Deliciously refreshing! A much more mundane presentation, the beer is still cold and enjoyable, but I have to admit … a little bit of Splitsville’s “magic” has disappeared. Too bad. 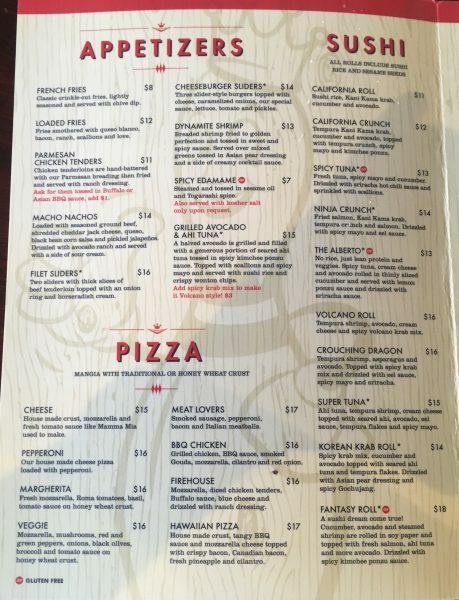 When it comes to foods, two of my personal favorites are, you guessed it, sushi and pizza! Hey! Why do you think I’ve devoted the last three days to both delights?! 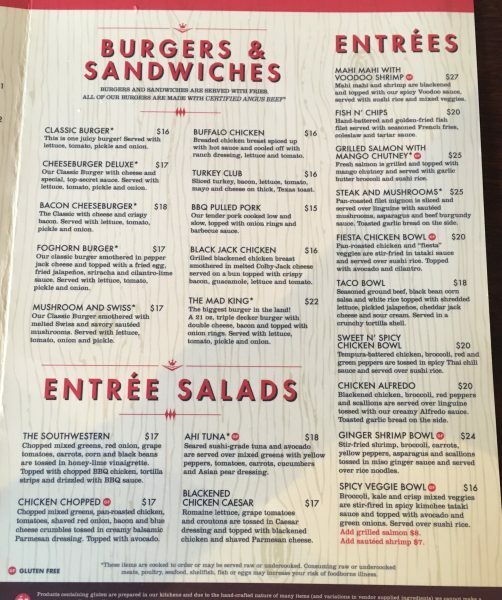 Check out yesterday’s post – Dining Recon: Splitsville Luxury Lanes! 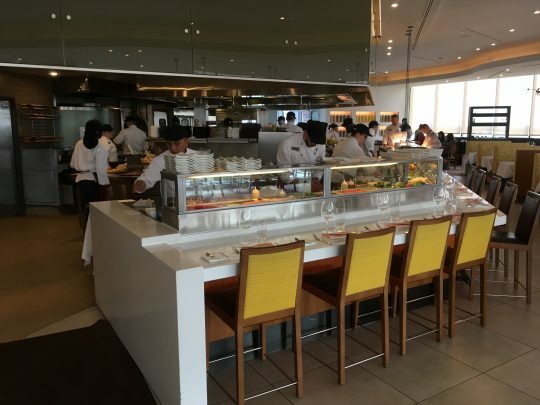 Better Sushi Than California Grill?! Anyway, for $17, this Meat Lovers is a very shareable meal. 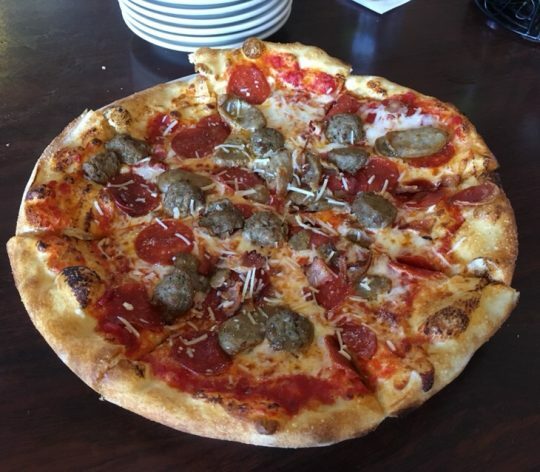 Plus, loaded with smoked sausage, pepperoni, bacon, and Italian meatballs, it’s a delicious pie! Wow! Great pizza. 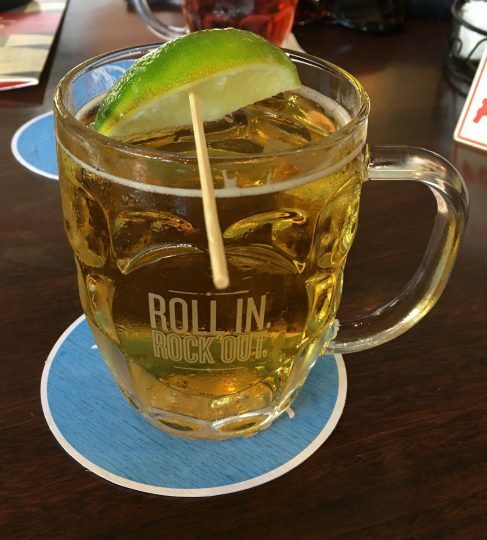 Ice cold beer. How can you ever lose with that combination? If you, too, want to enjoy great food, give Splitsville a shot. Hey! They’re not your everyday ordinary bowling alley, you know! 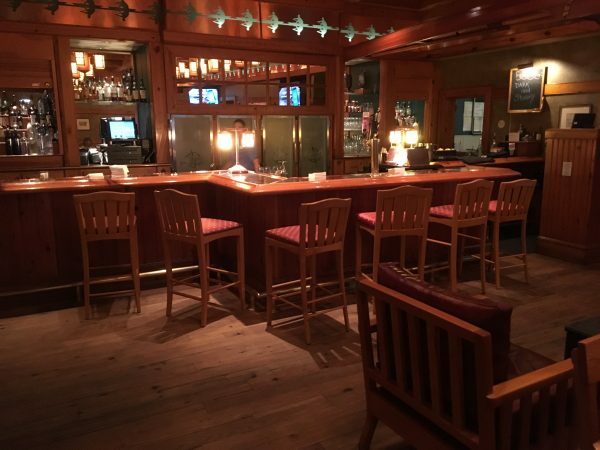 Dining Recon: Splitsville Luxury Lanes! Better Sushi Than California Grill?! Oh, you bet, it is! It’s a ‘cold-as-sushi’ fact! 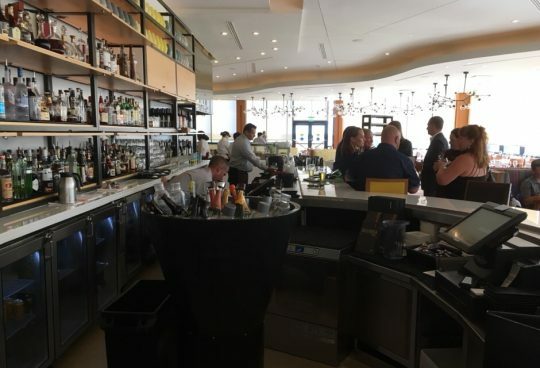 In our opinions, Splitsville’s sushi is much, much better than that served by the Contemporary’s Signature jewel. 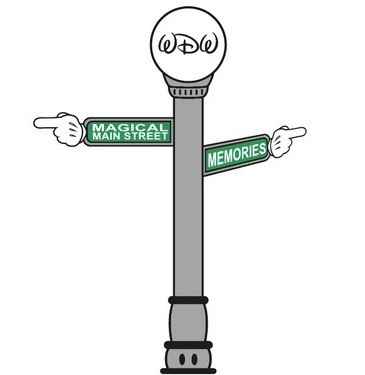 Now, don’t get me wrong. 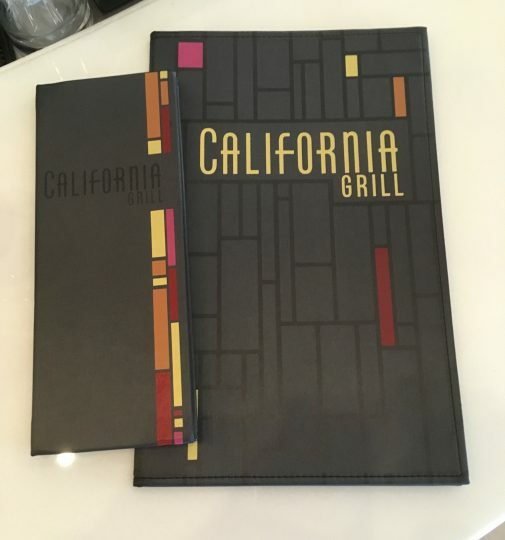 We love California Grill. We really do! 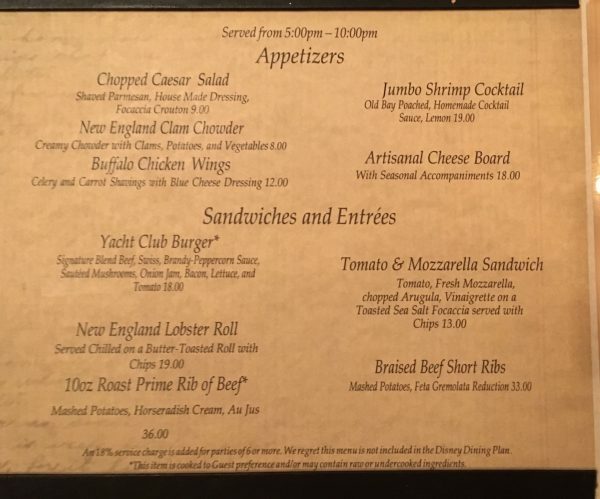 On a dollar-to-dollar basis, however, Disney’s “luxury” bowling alley wins any sushi showdown between the two restaurants … no contest! 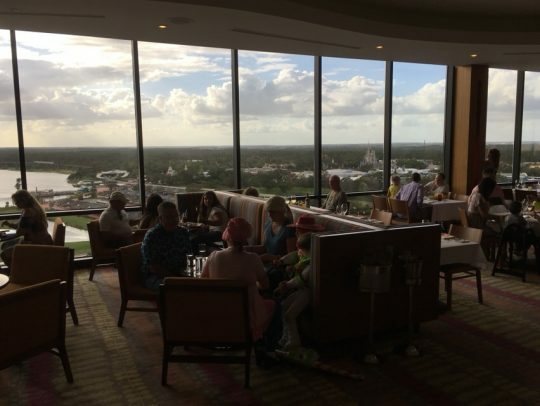 See yesterday’s post – Dining Recon: Sushi at California Grill! Hey! The quality is equivalent, at the very least! What’s the difference, then? Hah! 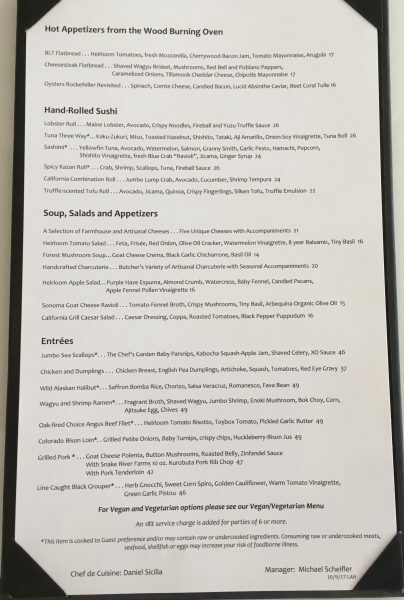 Check out the alley’s full menu, but focus on the sushi! On this particular day, we shared three rolls. 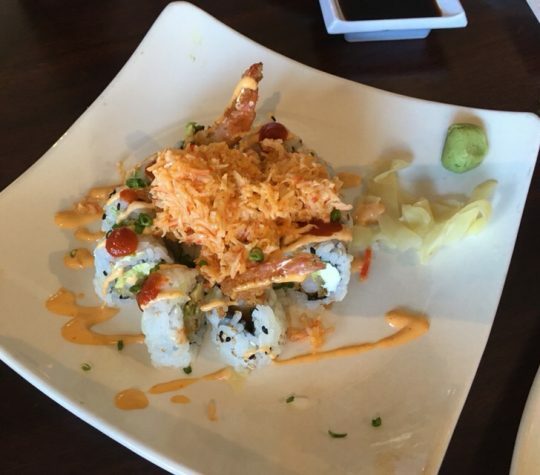 The Volcano Roll ($16) is one of my personal favorites. Why? 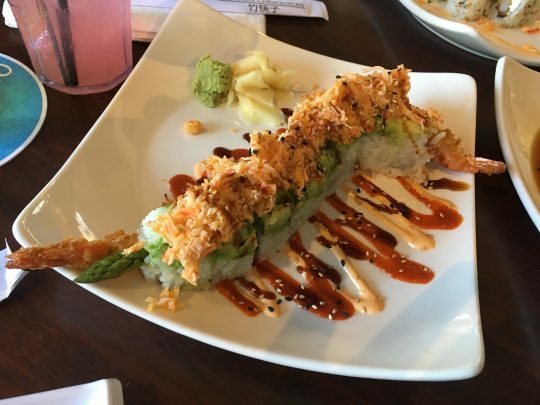 I just love the ‘spicy volcano krab mix’ on top of the roll! The Alberto ($13) is a healthy and unusual presentation. No rice! Lean protein. Plenty of veggies. Wrapped in thinly-sliced cucumber! Quite refreshing. 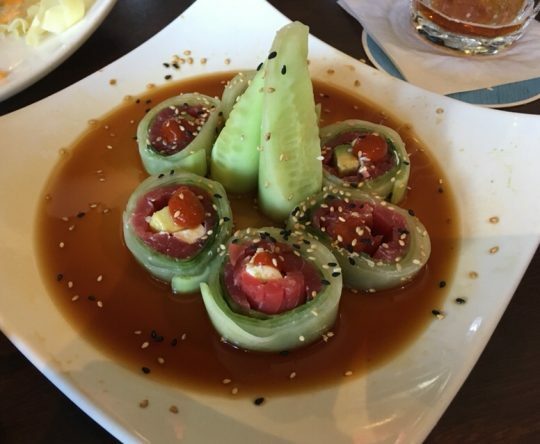 Finally, how could we not end with the “king” of sushi rolls? The Crouching Dragon ($16) is a meal in and of itself! Take a look! There’s that ‘krab mix’ again! All in, $45 for those three rolls, folks. Look back at yesterday’s post, and you’ll see that we paid $50 for what were assuredly much smaller portions. 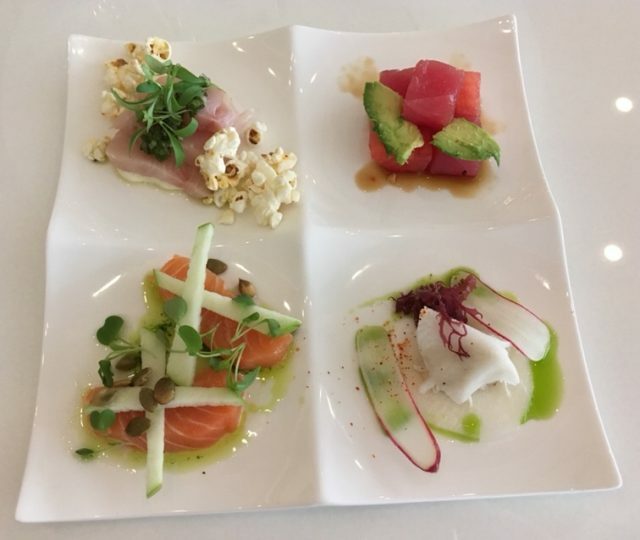 Again, in sum, great sushi at both locations, but, in our book, the “bowling alley” at Disney Springs has Contemporary’s flagship beat … no questions! 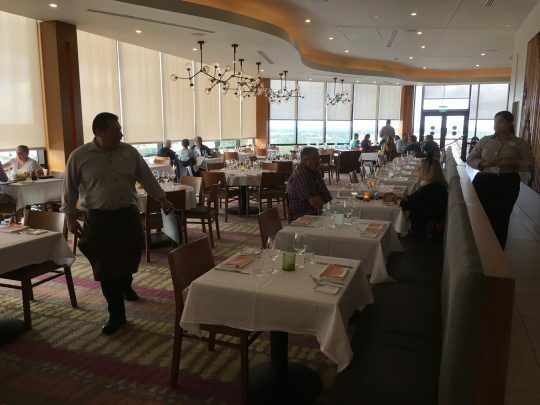 Dining Recon: Sushi at California Grill! Happy Saturday, folks! What better way to come off of a couple of turkey-stuffed days than with a light and refreshing treat? Say, with some ‘highfalutin’ sushi, perhaps? 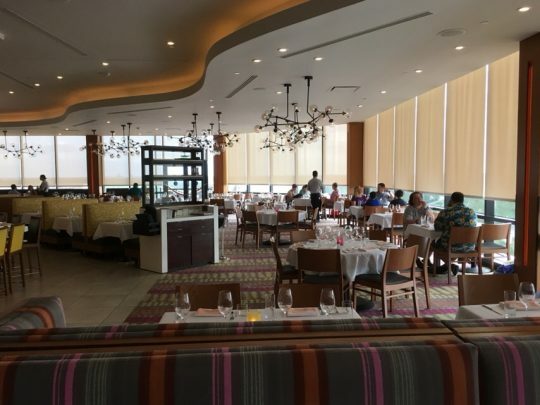 Mrs. All in WDW and I got the opportunity to enjoy the sights, sounds, and, more importantly, the tastes of the Contemporary Resort’s California Grill on a recent trip, and, let me tell you, it was fantastic … as always! 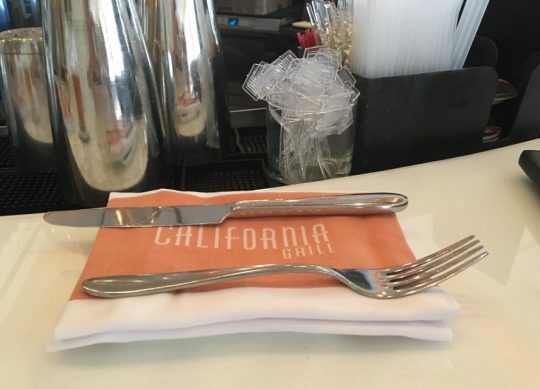 Of course, as you might expect from a Signature restaurant, Cali’s prices are as high as its food is classy. 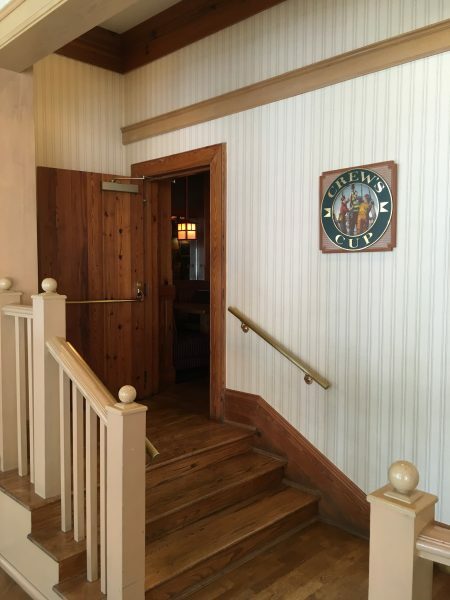 Nonetheless, we’d recommend that you dine there at least once. And, hey, if you like sushi, give theirs a try. It’s expensive, but it’s great! Bon appetit! You know that a Lobster Roll will require an open wallet. At $26, this little morsel delivered in that regard. Boasting tuna, watermelon, salmon, apples, hamachi, and crab, Cali’s Sashimi was delicious but it commanded a big price too – $24! Celebrate Christmas in Disney Springs … Presented by ResortTV1! Good morning, folks! Are you in a festive mood today? The first of this season’s holidays is two days away, and Walt Disney World is bursting with Christmas cheer! Mrs. All in WDW and I can’t wait to visit in a few weeks. There will be Christmas trees, Holiday Kitchens, lots of food, adult beverages, decorations, and gingerbread cookies! Yum! We can’t wait! 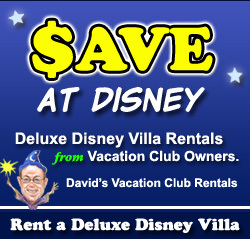 Until then, we’re enjoying Mickey’s celebration vicariously through our friends at ResortTV1. Josh, Jenna, and their families bring it all to you five (or more!) days per week on YouTube! Today? Join Jenna as she brings us all on a tour of Disney Springs. Check out “downtown’s” Christmas decorations and, most importantly, 2017’s Christmas Tree Trail! Enjoy it by clicking on the picture below! 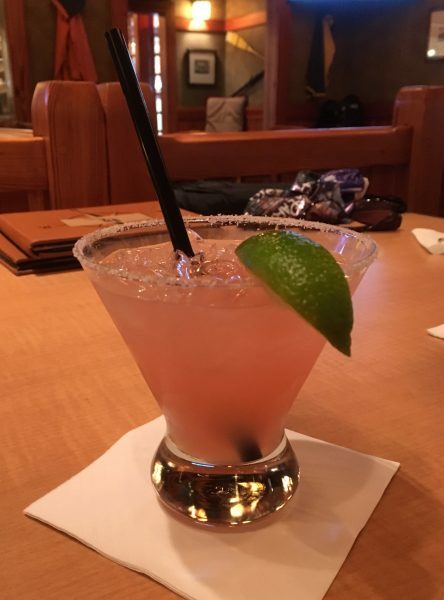 Are We Starting Off Monday with a Spicy Watermelon Margarita?! Oh, of course not, folks. Well, not literally, at least! Maybe just in spirit, eh? Or, is that … in spirits? 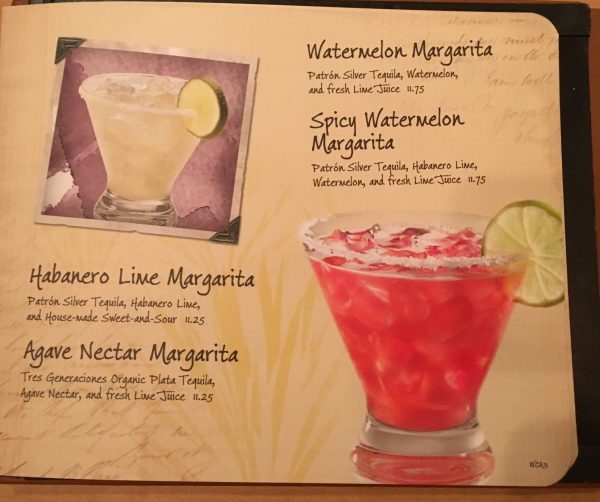 Anyway, not to be overdone by Evan Chaisson’s romp through the Animal Kingdom’s Nomad Lounge, I’d like to present a refreshment that we experienced – a Spicy Watermelon Margarita! 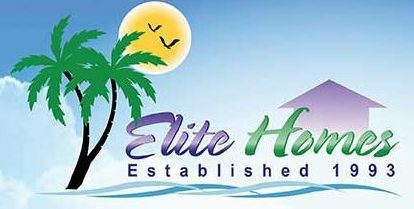 Episode 409 – Evan’s Trip Report! Having said all of that, before I get to the watermelon, I have one small piece of business to conclude. What is that? Well, I asked you to choose All in WDW’s Holiday Dessert, remember? It was, oh so, close! I was rooting for the Warm Caramel-Stuffed Salted Pretzel, I have to admit. But, in the end, you “bought” us Epcot’s Warm Apple Fritter with Cinnamon Ice Cream and Warm Caramel Sauce! Now, back to the “fruit” in question … watermelon! Where can this delight be found? 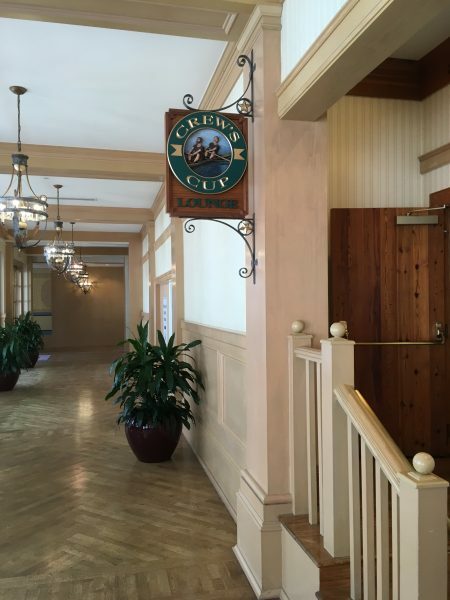 In Disney’s Yacht Club! My friends, stop in and visit the crew at … The Crew’s Cup! 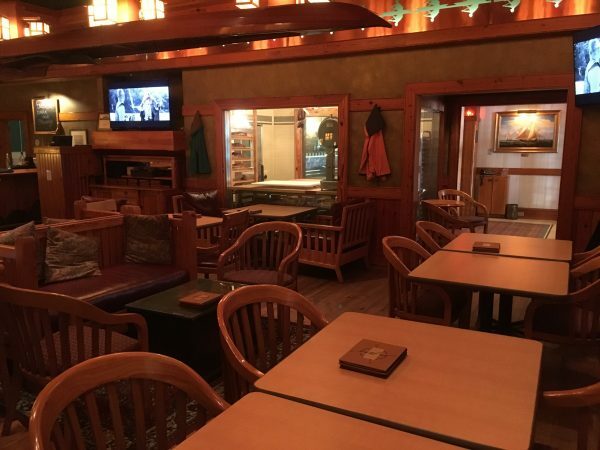 Within, you’ll find a very friendly staff, warm and welcoming decor, great food, and tasty drinks! Enjoy!